Most of our products are available in All Size (it fits from size S to L). However, for some other products, we might have smaller or larger size. We will notify on the product’s page if the concerning product is available in varied sizes. The garment I received does not fit me well (It is too big or it is too small), even after following Mera Mera Studio’s size measurement. What should I do? The risk of buying clothes online is that customers don't get to try them on first. Even when the clothes fit accordingly, there might be a risk of that it that might be too small for you in some parts. Your first purchase might be risky, but your next purchases should be safe given that you have seen & tried the garments for yourself. We really hope customers can understand this fact, that this is a risk of any type of online transactions. No return or exchange is possible. However to avoid this risk, you can always consult with us via email at help@meramerastudio.com. Unfortunately, we can’t produce Sold Out items anymore. All Mera Mera Studio products are carefully crafted and made by order, and we limit our production for every article to maintain the exclusivity of our products. But if you want to try to request it, you can email us at contactus@meramerastudio.com and tell us which product you want to have. We might consider it, or perhaps the items are still available in our stockists. Why the color of the garment that I purchased is different from what I see in the webstore? We have tried our best to give the most accurate colors in the computer screen. However, due to different monitor display, the colors may appear differently. You can always order as ‘guest’, but ordering with registered account would allow you to checkout and pay faster and track your order easier; and you don’t have to retype your address on each purchase. Click “Forgotten Your Password?” link at the Sign In Page and follow the instructions. Make sure you can access the email you use to register to our webstore. Unfortunately you can't, because after checking out your order is recorded. If you want to add items, kindly make a new order and notify us via email help@meramerastudio.com to combine your shipping. 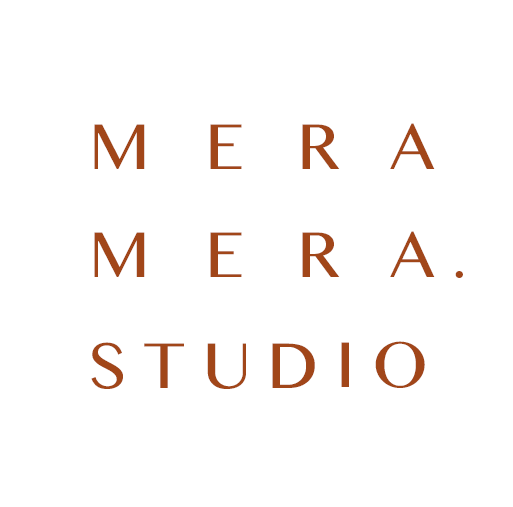 What payment methods are accepted at Mera Mera Studio Webstore? Payment can be made via Bank Transfer with two options: Bank Central Asia (BCA) and Bank Mandiri. For International Customers, we will soon provide Paypal payment method in our webstore. If you can't transfer and confirm within that time, your orders will automatically expire. You may order again, but we cannot guarantee the availability of our products. I already made my payment, where I should confirm it? You will have to confirm your payment at our webstore to validate your purchase. Confirmation for Bank Transfer should be made strictly after you have paid your order. Unfortunately, payment by credit card is currently not available, but soon you will be able to use Paypal in our webstore. What is the currency displayed on the Mera Mera Studio webstore? Prices shown on our webstore are in Indonesian Rupiahs (IDR). We may change our price without any notifications.